The Smiley Tooth Pediatric Dental Specialists in Rockwall, TX, created an amazing pediatric dentist office that features some of the latest technology around such as large overhead LED displays and backlit LED clouds on the ceiling. To continue this technology trend throughout the office the BrightLogic Active Floor System was installed in their waiting room to keep kids entertained. 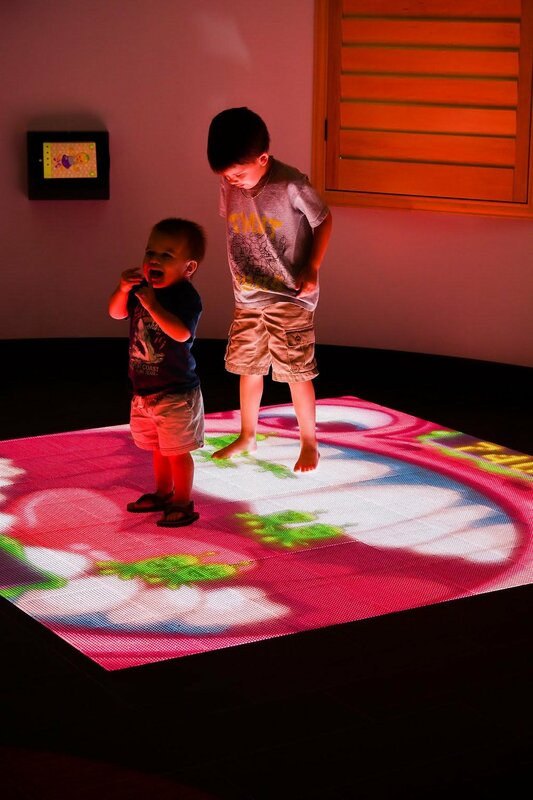 "I cannot begin to tell you how pleased I am with the interactive floor! It has totally made our dental practice! As soon as the kids walk thru the door, that is what they see and are instantly drawn to. I had thought it would be one of the attractions to my office but it has become THE attraction. 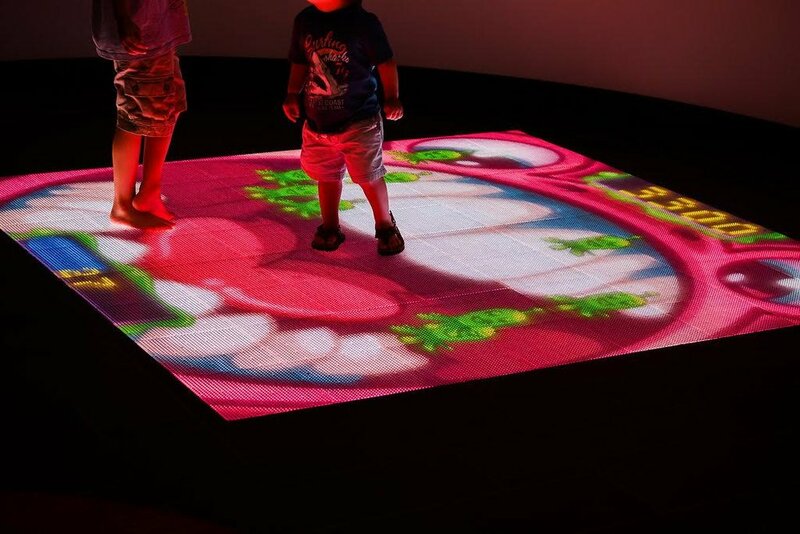 It has been the talk around town about the 'cool light up floor' and even parents play on the floor. It's great to see how everyone of all ages can play on the floor. I have no regrets about it! Best purchase ever!"